Jubilee Hall Trust (JHT) celebrated the achievements of the last 12 months at their annual Oscars Night held on Friday 19th May, at the Hippodrome Casino in Leicester Square. Highlights of the year included excellent results in both member and staff surveys, as well as retaining the management contract to run the Westminster Gym in the Houses of Parliament. The charity also won a number of national awards including Outstanding Achievement at the UK Active Training Awards in November and Successful Partnerships at the Sporta awards in May. JHT is also a finalist in the UK Active FLAME awards to be held in June. 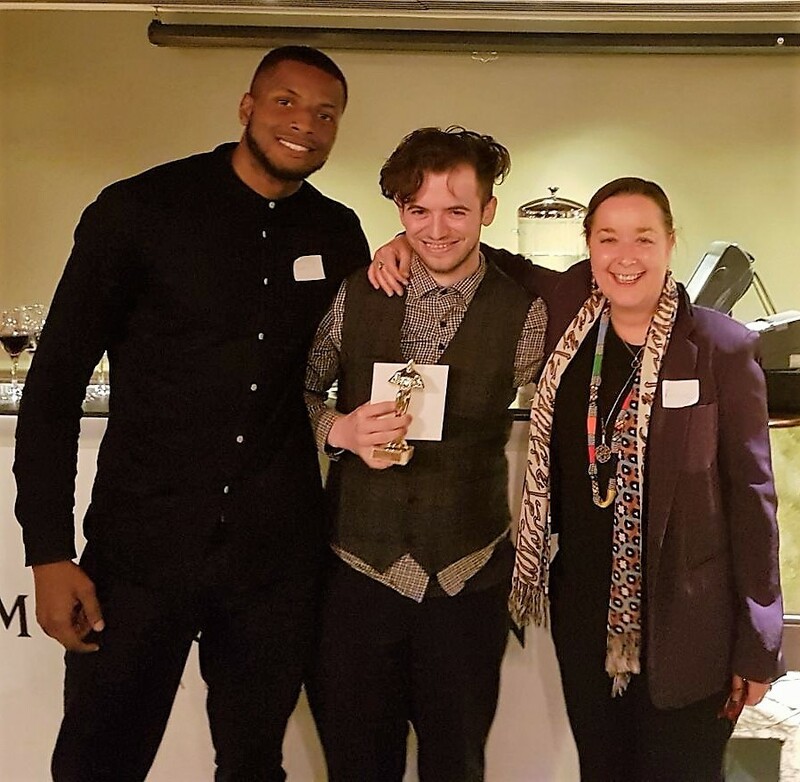 Oscars were given out on the night by special guests, Chair of Trustees, Roslyn Perkins, and Athlete Ambassador, Team GB triple-jumper, Nathan Fox. Winner of Class Teacher of the Year, was Cheryl Burns, described as: ‘inspirational, full of energy and enthusiasm’ and with ‘a zest for life’. The Personal Trainer of the Year was recognised with the Simone Esther Welds award, named after our long-serving PT who sadly lost her battle with cancer last year, aged just 46. Simone’s mum, MJ and her partner Daicia, presented this prestigious award to Chrissie Mullings-Lewis, who has worked as a class teacher and trainer at two of the charity’s clubs for over 25 years. Chrissie was singled out for changing lives, improving clients health and her: ‘unfailingly enthusiastic and inclusive approach, and also in recognition of her fund-raising activities’. The climax of the evening was the Staff Member of the Year award, won by Jubilee Hall Fitness Supervisor, Daniel Hearn. Daniel started as an apprentice at the gym three years ago, and has quickly made himself indispensable. In the recent member survey, he was mentioned more times than anybody else, and was characterised as: ‘dedicated with tireless attention to detail’ and ‘incredibly hard-working, very polite and extremely helpful’, and someone who ‘improves the whole environment of the gym’.